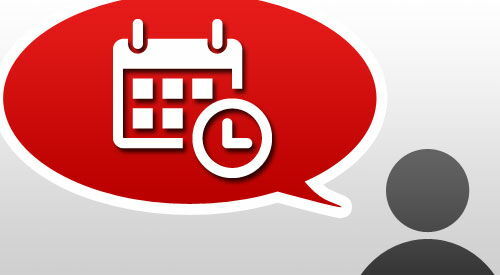 Find out everything you need to know about date and time in the Polish language. The details of the date in the Polish language can often cause many problems, mostly due to extensive declension. First of all, both numbersmonths need to be declined. Thus knowing just the ordinals and month names is not enough. Today is the February the fifth, twenty fourteen / fifth second twenty fourteen. The rule applies only when indication of the month is present. While using solely ordinals for the day and month in the nominative, the year however usually is in the genitive form. Dziś jest czwartek, ósmego/ósmy stycznia dwa tysiące czternastego roku. Today is Thursday, the eighth of January twenty fourteen. od kiedy? – from when? do kiedy? – to when? jak długo? – how long? jak często? – how often? The indication of the month follows the same rule, with the difference that the indication of the month require the locative. That means that all months will receive the -u ending. Unspecified time of the day is described using the prepositions “nad“, “pod“, “około” or “jakoś” (colloquial speech). It is difficult in this situations to express a general rule, as the emphasis is put on the specific usage. Examples presented above clearly show that during specifying the birthday date all ordinals must be declined in the genitive. Thousands and hundreds remain in the same (nominative) form, namely in the form of cardinal numbers, not ordinals. In the Polish language, as well as in German, one can use the official (1-24) and unofficial (0-12) time. Która (jest) godzina? / What time is it? Usage of official time is almost the same as in English and German, with the difference that the hour and minutes with the ordinal are expressed with the cardinal numbers. First come the full hour, then minutes. Przepraszam, która godzina? / Excuse me, what time is it? The examples above show clearly that the official time specified in the Polish language is fairly straightforward and similar to the German and English. Please notice the lack of the word clock / godzina. Usage of unofficial (private) time includes numbers from 0 to 12 and is also a mix of cardinal and ordinal numbers, which are also declined here (in the genitive case). Unspecified time will be created using the prefix “około” with the corresponding time of the day. Spotkamy się około piątej. We meet about five. Przyjdź do nas około piętnastej. Come to us about fifteen. O której zaczyna się film? What time does the movie start? O siedemnastej. At seventeen hundred. O której się spotkamy? What time will we meet? O osiemnastej. At eighteen hundred. The rule above applies only when an indication of the month is present. While using solely ordinals for the day and month in the nominative, the year however usually is in the genitive form.